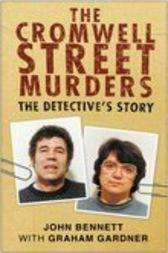 November 2005 marks the tenth anniversary of the conviction of Rose West, currently serving ten life sentences for her part in the Cromwell Street murders. This book tells for the first time the story from a police perspective. For ten years, the officer in charge of the investigation, Detective Superintendent John Bennett QPM, has refused to tell his story. Now, together with BBC journalist Graham Gardner, he reveals the full story of how the West's were caught, how the case was prepared and how it nearly failed to come to court. This book chronicles the roles of those who brought down two of Britain's most infamous killers, shedding light on the real heroes of one of the saddest chapters of criminal history. It explores the court processes, the complications of Rose West's trial, her unsuccessful appeal and the difficulty of dealing with witnesses in such a traumatic case. On one level, this is a story of the triumph of good over evil; on another it is a detailed documentation of how a murder investigation really works - the pressures, the commitment and the physical and emotional drain on those who carry out this work.